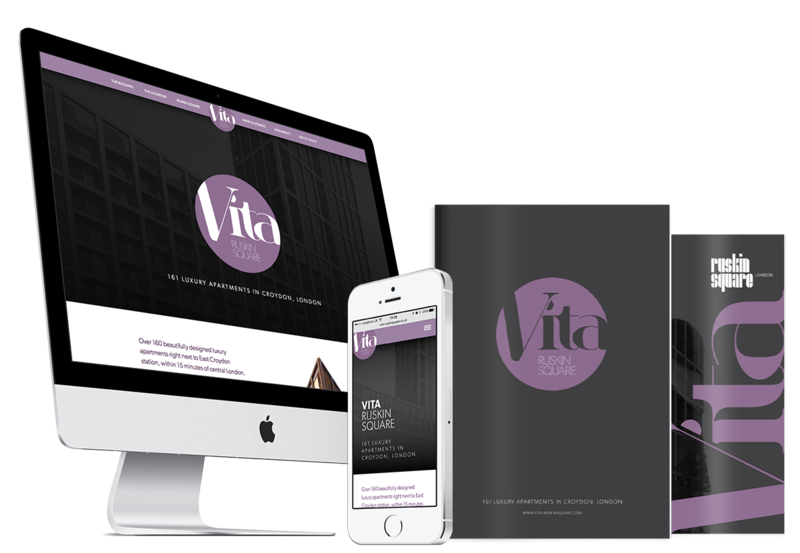 Places for People, as part of a larger redevelopment of the London borough of Croydon, tasked us with creating the identity and marketing literature for their residential development, Vita. 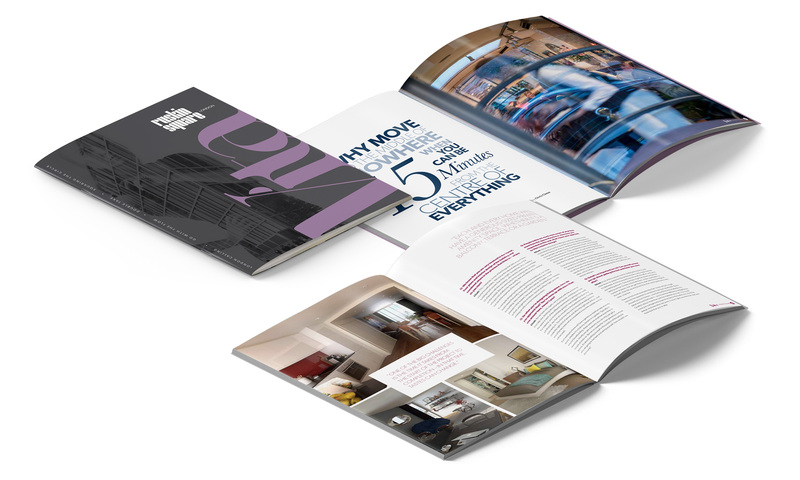 Places for People are one of the largest property development and regeneration companies in the UK. The residential aspect of Ruskin Square needed to stand out within this large-scale regeneration project – a 9 acre mixed-use development located in the heart of Croydon central business district. Our brief was to develop a bespoke identity for the residential aspect that could be rolled out into further phases, after initially launching a block of 160 luxury apartments as Phase 1. 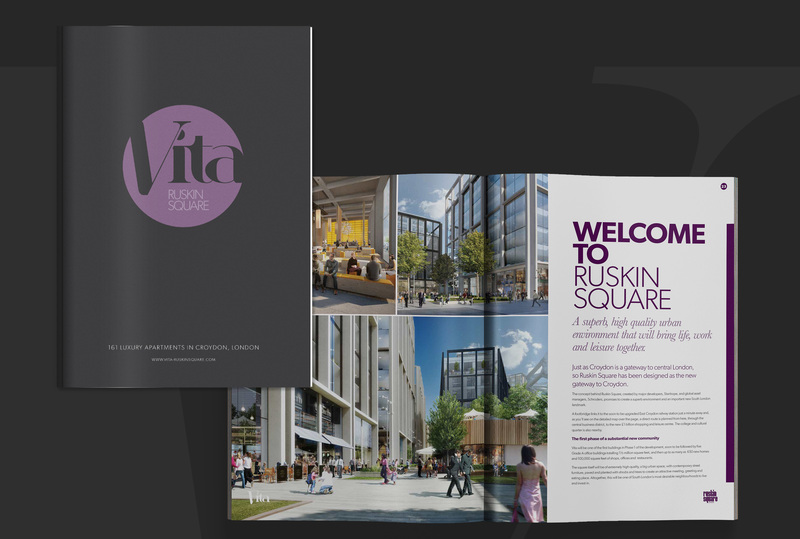 The identity needed scope to roll out across 3 phases – ‘Vita’ was decided upon and a modern, fresh, magazine-style brochure developed. This ‘magazine’ was adapted to a more conventional brochure for marketing materials at exhibitions in Hong Kong, Singapore and Taipei. Along with a microsite, these marketing tools ensured sales targets were exceeded at each regional launch event. Something a bit different from the ‘typical property brochure’. 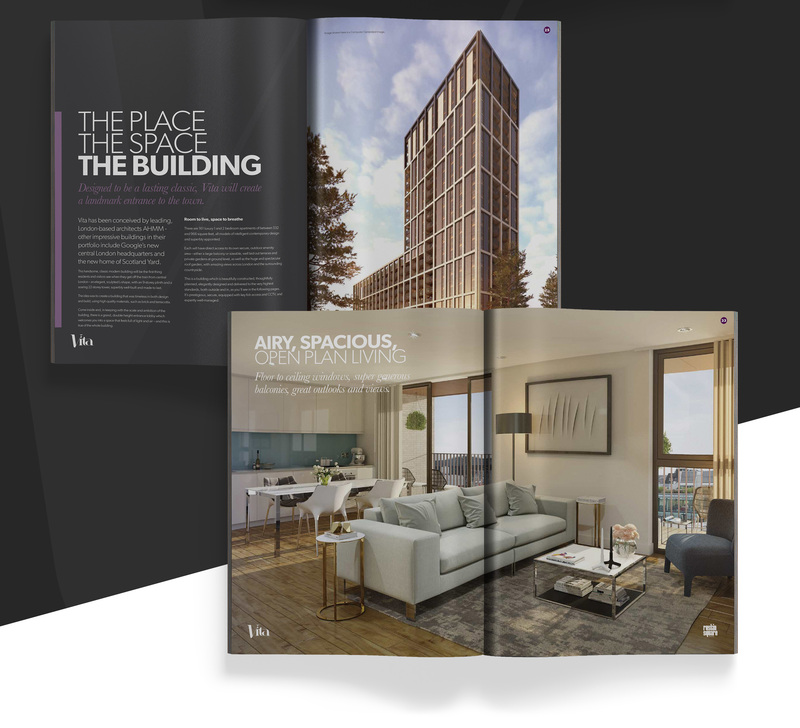 The magazine-style publication consisted of a range of diverse articles such as: an interview with the architect, an interior design piece, how Croydon is evolving, work-life balance on the mixed-use site and many more. Having decided to launch the development at investor events abroad, the literature requirement was very different… and more conventional! Some of the ‘magazine’ content was re-purposed, but with more detailed information, such as floor plans and specifications. The key selling tool for the development. 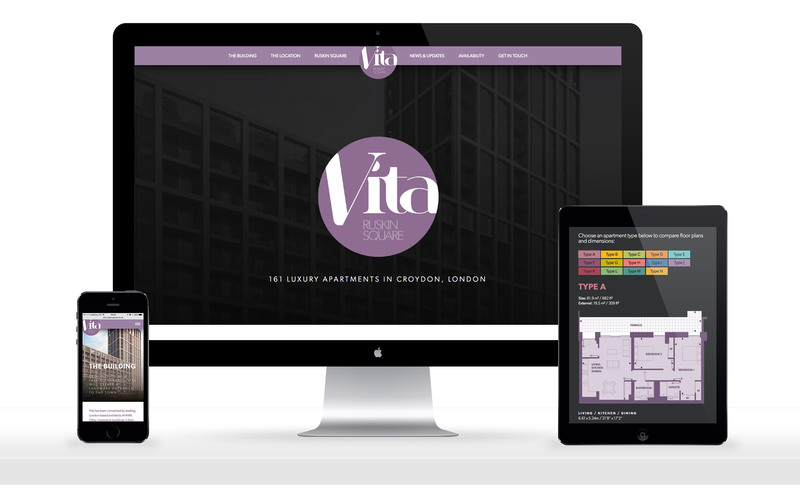 Built in a Wordpress CMS, the website showcases all aspects of the development - apartments, prices and availability.